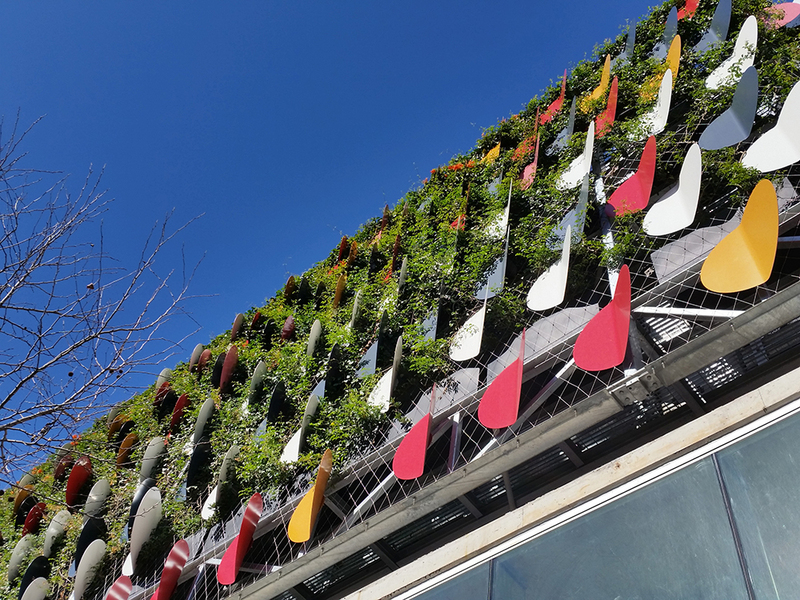 We love an architectural and design challenge, and one of our latest green facade projects gave us just that. 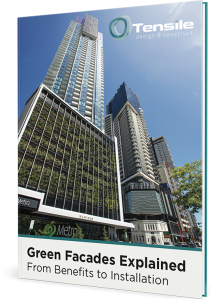 The team at Tensile recently designed, supplied and installed an enormous 90m wide and 8m high green facade around the podium of a new apartment building in Rushcutters Bay, Sydney. 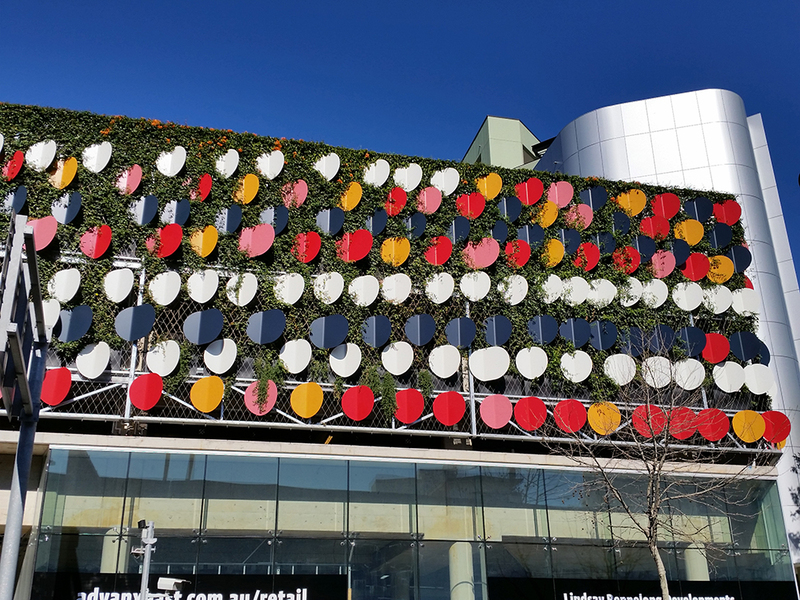 Once again, we were lucky enough to work alongside the green wall specialists Junglefy and industrial artist Korban Flaubert to build a stainless steel mesh frame that would hold a variety of plants. The structure had to be strong enough to support the greenery whilst remaining as discreet as possible, so as not to take over from the beauty of the plants. The result was a stunning wall of living, green art that captures the tranquility of nature and softens the harsh edges of the building. Why do we love vertical gardens? Green facades are simply beautiful. They transform a dull wall into a striking feature that is functional as well as attractive. They help maintain biodiversity by providing a habitat for insects, small reptiles and birds. They improve air quality outside and in the building, and make people feel happier and less stressed when they’re immersed in nature. They also insulate the building against heat, cold and noise, making a more comfortable and peaceful environment. Want a garden like this on your building? If you’ve got a design concept you think could incorporate a vertical wall garden like this, we’d love to help bring your ideas to life. Contact our friendly staff on 02 9999 3668 to find out what we can do for you.